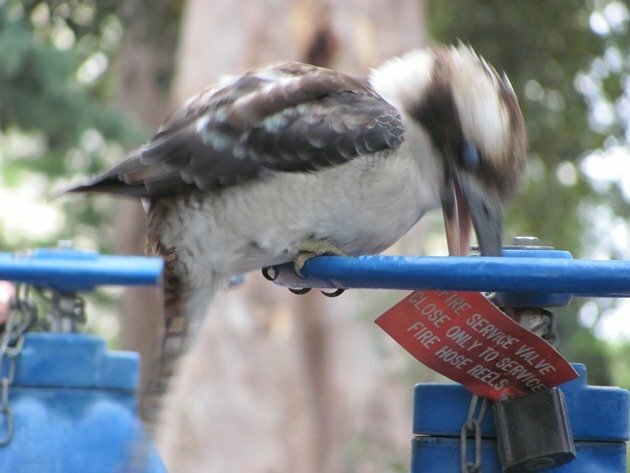 Laughing Kookaburra in attack mode! 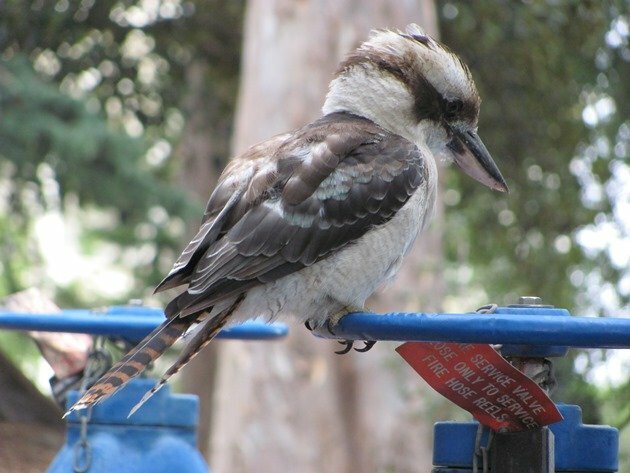 At home in Broome we are often awoken by Blue-winged Kookaburras and their insane chattering, but here in Melbourne the Kookaburra family is represented by the Laughing Kookaburra. 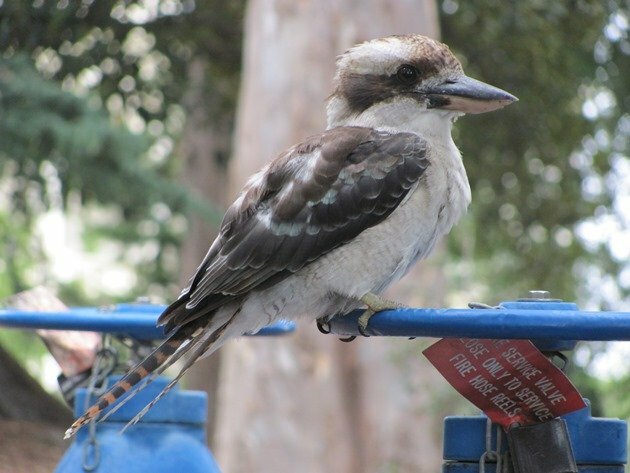 The Laughing Kookaburra is a slightly larger bird than the Blue-winged Kookaburra and its “laugh” sounds more like an actual laugh or chuckle rather than the manic raucous noise that we hear in Broome. 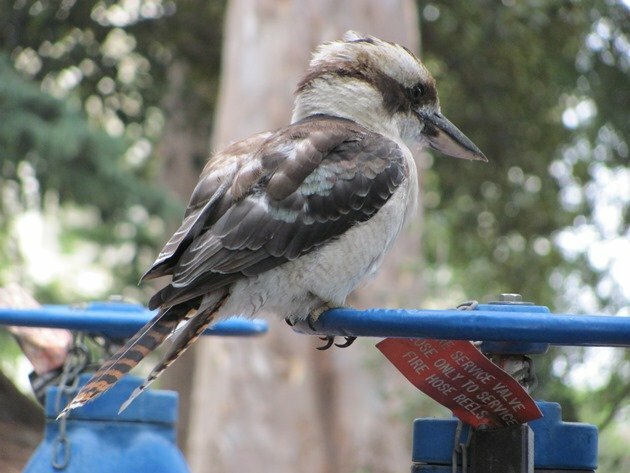 On one of my many visits to the Botanical Gardens in Melbourne over recent weeks I came across an odd sound, which was far louder than the familiar sound of the Bell Miners. I am used to hearing the pinging of the Bell Miners at the Botanical Gardens, but this was sounding metallic and frantic. There were no people around and so I headed in the direction of the sound and I soon came across the culprit. The above photo was taken from some distance away through a fence as I slowly approached. 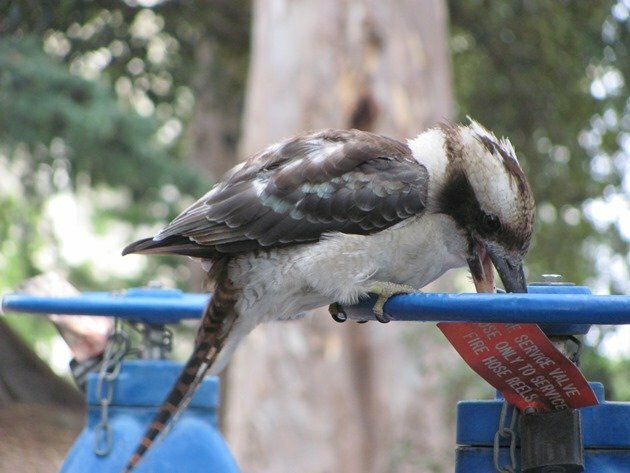 There was a Laughing Kookaburra intent on destroying the red tag on the firefighting equipment! I positioned myself against the fence and watched it attacking the red tag. 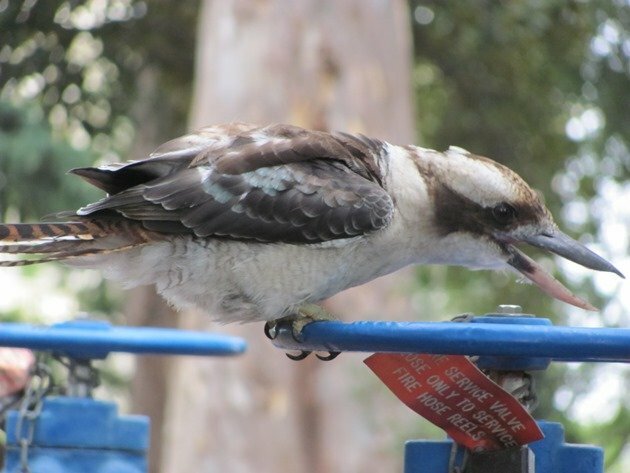 This went on for several minutes and the Laughing Kookaburra was not at all interested in my presence, but was determined to attack this innocent red tag! In the end I left it to its destructive behaviour and wandered off into the relative quiet of the Botanical Gardens! It did not manage to remove the red tag, but was having some fun trying. 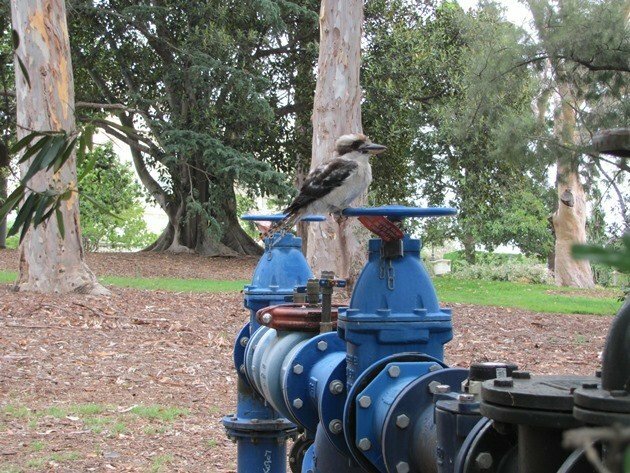 That Kookaburra does have a rather mischievous expression!